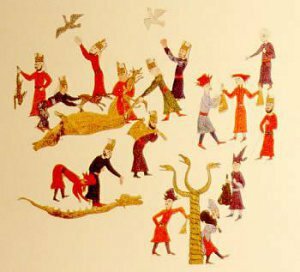 In the late 13th century the Ottoman State, founded in northwestern Anatolia in the area of the Sakarya River and the valleys of its tributaries, developed rapidly and grew into a great empire. 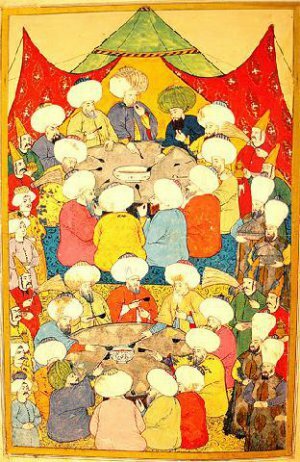 Taking the place of its predecessor the Byzantine Empire and wiping it from the map, the Ottomans became a great political presence as well as the most powerful representatives of the Islamic world. 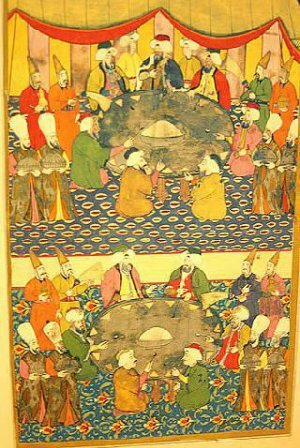 People from regions quite remote from each other, and from different ethnicities ad cultures were gathered together under a single political umbrella(1). 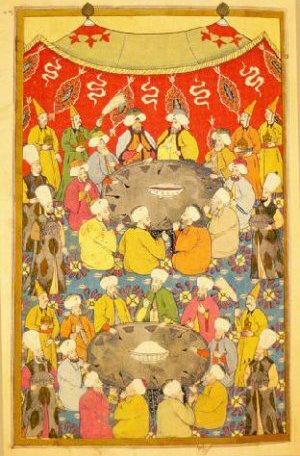 Spreading over three continents, the Ottoman Empire thus blended with many different culture and as in every area, so in the areas of food and drink as well, found itself in cultural exchange with them in them. 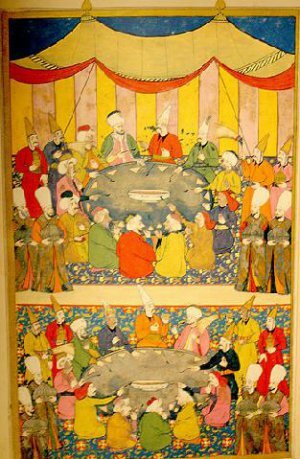 Parallel to the development and growth of the Ottoman Empire, the cuisine of the palace also showed great development, and the gathering of high-ranking palace residents became one of the most important social activities of the period. This gave rise to the development of extremely rich and delicious dishes which displayed all the creativity and skill of the cooks(2). 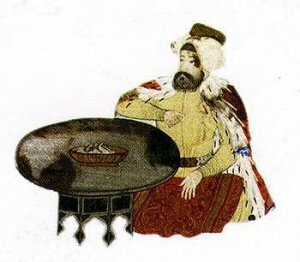 Sultans and state officials, in order to feed and hold feasts for foreign guests, ambassadors and other palace guests, had their cooks develop certain recipes. 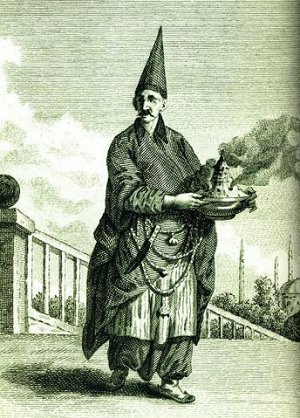 Of those working in the palace and mansions, the chefs were among the most beloved; French statesmen asked permission to retain the chefs which Sultan Abdülaziz took with him on his visit to Paris(3). 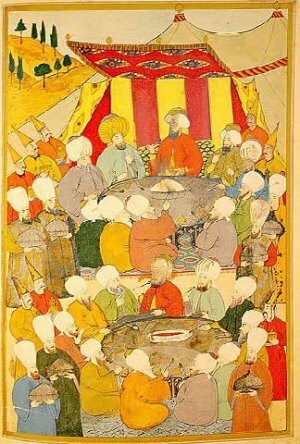 During the rise of the Empire, the Ottomans added the cuisine of every area they conquered to their own cuisine(4). 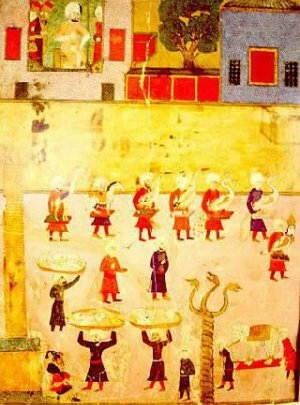 Thus the cuisine of the Ottoman palace and Istanbul in particular became even richer during this period, to reach its peak in the 18th and 19th centuries when the Empire was moving into faster decline(5). Historians have classified the period from the establishment of the Empire until the end of the 16th century the “Classical Period;” the following period lasting until the 18th century the “Post-Classical Period,” and the 19th and 20th centuries, during which various experiments in modernization were undertaken, the “Final Period (1).” The historian Cevdet Paşa said, “If Istanbul had not been conquered, the Empire would not have attained this elevated power.” According to this him, Istanbul was in one of the most ideal geographical locations in the world, and it was natural that whatever state owned it would also have power over other nations. As Napoleon said, “If there were a single world government, its center should be Istanbul. (6).” Clearly, Istanbul has never lost its importance throughout history. 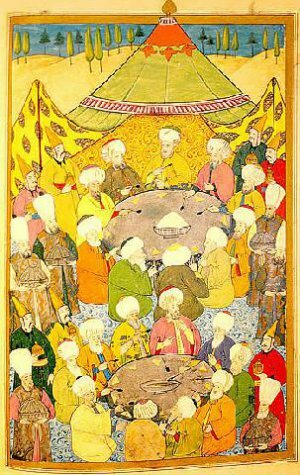 After Fatih Sultan Mehmet (Mehmet the Conqueror) took Istanbul and settled in Topkapı Palace, he also decreed the official etiquette and manners concerning food and eating. For this reason, the kitchen held an important place in palace life. 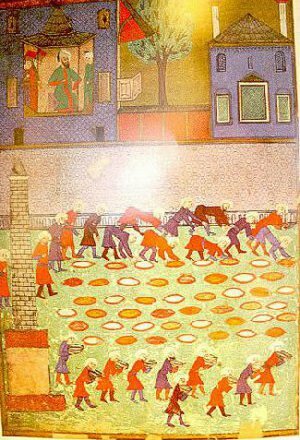 Every day, Topkapı Palace produced food for 1,500-2,000 people, including servants, Janissaries, members of the Divan, civil servants, the Sultan and his family; and on feasts and other special days this number increased threefold(5). Receptions and feasts given at the Divan for foreign ambassadors followed more or less the same protocol. 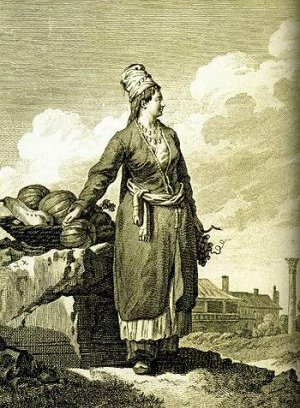 Large silver trays bearing food brought by palace servants were placed on low tables and the guests ate in small groups. 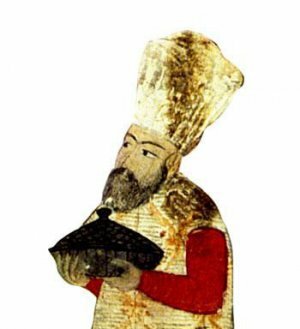 Information on this subject gained from foreign ambassadors and travelers as well as Ottoman sources show that Turkish society included an extremely rich culinary tradition and practice. 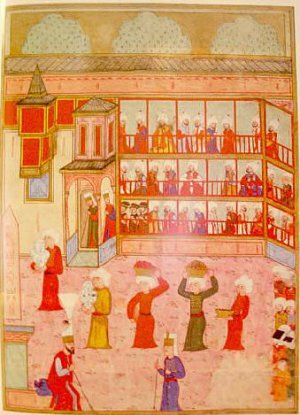 In addition, weddings, military decorations and celebrations included some of the most brilliant pages of Ottoman history. With their ceremonies, guests, tributes, displays, and food and drink served, these celebrations were a cultural treasure. 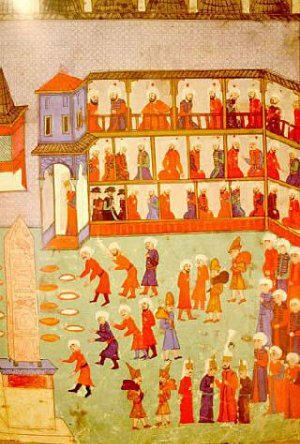 This article will address subjects including the organization of the kitchen, rules for meals in the palace, the eating habits and etiquette of the sultans, the eating etiquette for paying of the ulufe (money paid to the Janissaries for fodder), receptions of ambassadors and foreign guests and meetings of the Divan; foods and customs at the palace during the month of Ramadan, and feasts given on the occasion of princes’ circumcisions and other celebrations.